Can My Ex Freeze Me Out Of Our Child's School Activities? Home / Articles / Can My Ex Freeze Me Out Of Our Child’s School Activities? Can My Ex Freeze Me Out Of Our Child’s School Activities? My wife and I have been divorced for five years now and are constantly getting into disagreements about parenting schedules. Recently, I let her register our son for school. Then I found out that she has already had a conference with his teacher and didn’t inform me so I could participate. The school didn’t have any of my information other than my name. This has already caused me to miss out on several communications with the school. What can I do to make sure I stay involved in what’s going on at my child’s school? I am not licensed to practice law in your state. Therefore, I cannot inform you as to the specific laws of your state and can only provide you with general information concerning parent time. 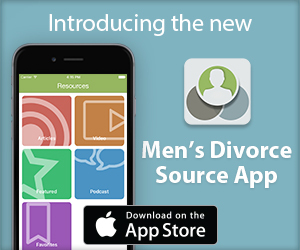 The answer to your question hinges on what your decree of divorce says. Does it say that Mother is supposed to inform you about your son’s school and activities? Does it say that you should be listed on all school registrations and activity forms? Read your decree very carefully and let it govern your actions; my suggestions below are only suggestions and only if they comply with your decree of divorce. Your quickest and most cost efficient method to resolve these issues is to be proactive. As long as there is nothing stating otherwise in your decree – you have the right to go to the school. Talk to the office and get your name and address added as a “legal guardian” or “Father” contact on your son’s school record. Have them put a note that all notices they send to Mother, you would also like them to send to you. Go talk to your son’s teacher. Get his/her contact information and ask if you can email them occasionally or meet with them periodically to see how your son is doing. If your decree says that Mom should be doing some things that she is refusing to do – you could take her to court for failure to abide by the order of the court. Also, in order to build your case for the future – you should communicate with Mom by email about your concerns. Be specific – “You didn’t tell me about son’s absence yesterday. Why was he away from school?” You will want that documentation for everything should you have to go to court on this issue in the future. Remember, I am unable to provide you with anything more than general parent time tips, so please consult a domestic litigation attorney in your area to obtain specific advice as to the laws in your state and how they impact your circumstances. 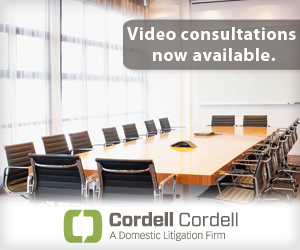 To arrange an initial consultation to discuss divorce rights for men with a Cordell & Cordell attorney, including Utah divorce lawyer Dena L. Morgan, contact Cordell & Cordell.